The Human Settlements: Aren't the Urban Settlements a combination of various Natural Systems? Aren't the Urban Settlements a combination of various Natural Systems? 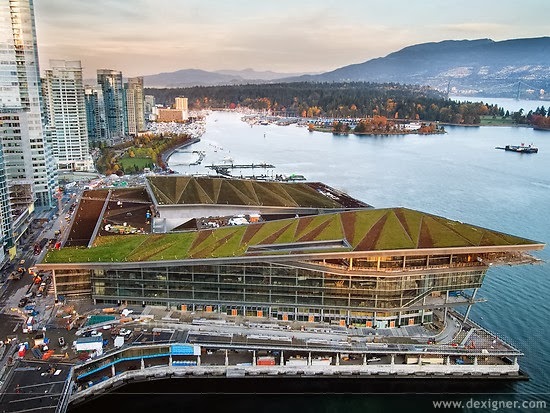 While cities have traditionally been seen as aberrations of ‘nature’, such a distinction neglects the opportunity to envision human built environments that can exist in balance with the wider ecological systems. The city acts as a system, ignorance of which has led to the inefficiency of the urban ecosystem thus established. Sustainability can only be achieved when cities are approached as systems and components of nested systems in ecological balance with each other (UN-Habitat). Urban Planners are typically concerned with some of the pressing issues which are in general related to the provision of essential urban services, regulation of certain private activities and the provision and upkeep of related public works. The approach followed by the contemporary urban planners fails to measure the wider aspects responsible for the planning, formation, construction and growth of any urban settlement. The question of the sustenance of Ekistics, as coined by C. A. Doxiadis in dealing with the ever increasing complexities of the urban settlements with the advancements in science and technology with increased human interferences comes into light. Ekistics, as outlined by Doxiadis in his essay on Ekistics (1968) calls for a co-disciplinary approach to study the wider elements involved in the process of human settlements. Significantly it is important to place an approach within the context of a wider and longer term perspective and a set of goals. 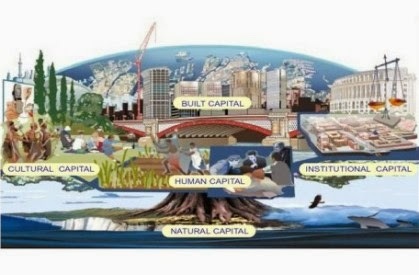 The issues and areas which holds pretty important in studying city as a system are - complexity and the significance of the natural systems in urban settlements, the approaches followed by the race of humanity in his transitions from the primitive settlements to the modern one to support the efficiency of them, critical appraisal of the contemporary urban planning process especially in the field of ecology, its enhancement and improvement, the role which the discipline of Ekistics can play in the true sustainable development and will then be proceeded to outline the revival policy which may prove beneficial in the coming decades. Humanity is increasingly urban, but continues to depend on Nature for its survival. Cities are dependent on the ecosystems beyond the city limits, but also benefit from internal urban ecosystems. Seven different urban ecosystems have been identified: street trees; lawns/parks; urban forests; cultivated land; wetlands; lakes/sea; and streams. When humanity is considered a part of nature, cities themselves can be regarded as a global network of ecosystems. If compared with natural ecosystems, the man-made ones are however immature due to features like their rapid growth and inefficient use of resources such as energy and water (Haughton and Hunter, 1994). Odum (1971) even observed cities to be the ‘‘only parasites in the biosphere’’ which has subsequently been changed into outlining cities as ‘the engines of economic growth’. Most of the problems present in urban areas are locally generated, such as those due to traffic. Often the most effective, and in some cases the only, way to deal with these local problems is through local solutions. In this respect, the urban ecosystems are vital. An ecosystem can be defined as ‘‘a set of interacting species and their local, non-biological environment functioning together to sustain life’’ (Moll and Petit, 1994). However, the borders between different ecosystems are often diffuse. In the case of the urban environment, it is both possible to define the city as one single ecosystem or to see the city as composed of several individual ecosystems, e.g. parks and lakes (Rebele, 1994). We may have seen the management related problems regarding the sewerages and waste materials of various cities. Though the lack of awareness amongst the people is also an issue in this regard but it may also be increased by the various awareness programs relating the issue on the authorities’ behalf only. We can't wait for the people to get educated as this will ask for a period of time and still after becoming educated, it's not 100% sure that they will be educated with human values. This issue hence needs to be rooted out on the planning part only. Only few urban planners knows about the intensity and inter-relations of the various urban ecosystem and if in case they are aware of the term, they will find it very difficult implementing them in their planning process, subsequently which leads them to ignoring the issue or rather just completing the various standards set by the concerned authorities. The urban ecosystem if wisely used, serves the best for the various 'Solid waste disposal systems' and other critical issues related with the urban settlements. For instance, if wetlands are considered, they results in better water management, also it also reduces the cost factor and may increase the recreational cultural values. It may serve in a number of very intense issues. Planning has rather failed a long way in serving any of these systems in general. The much talked sustainable development, if will ignore the aspect of the city as a system, will arise difficulty in reviving them further. The sustainable development should hence be studied parallel with the natural system which after human interferences becomes an urban ecosystem. I’m preparing an approach for the inclusive development of both these aspects, as the current approaches I’ve read in recent times though talks for the holistic approach but somewhere down the line they seem to have failed to deal with the ecosystem management at a wider aspect. I’ve been saying through my blogs that urban settlements aren’t just a place for human living or the development in infrastructure and transit system. It has a much wider things related and with the rising complexity of them, it has made really difficult, the job of the urban planners to plan them keeping in view the accelerated changes, the modern urban settlements generally experiences.